The battle for the ownership of the Crafar Farms and the Government’s sign-off of the Overseas Investment Office’s approval of the sale of the farms to Chinese bidders has shown the nasty and ugly side of this country. During the nine-month battle for the hearts and minds of the New Zealand public in the long-running saga to purchase the 16 central North Island dairy farms, once farmed by the Crafar Family, has taken many interesting turns. In the red corner is the Chinese company Shanghai Pengxin’s who’s successful bid to buy the Crafar dairy farms will – according to critics – leave New Zealanders as nothing more than tenants in our own land. Meanwhile, in the black corner we have a wide cast of characters stirring up anti-foreigner sentiment. Most recently been this has been led by a rival group of local buyers – the Crafar Farms Independent Purchaser Group— fronted by the merchant banker and former state asset seller Sir Michael Fay. Add into the mix opposition politicians preying over the corpse of the Crafar deal like proverbial vultures – hoping to swoop on the side of popular public opinion; who have doing their utmost to peel off the thin racist veneer of New Zealanders’ none too deep anti-Chinese feelings, while disingenuously claiming they are not. Already we’ve seen the unbelievable transformation of Michael Fay, from the biggest flogger of NZ assets and a Swiss-based tax exile to becoming the cheerleader of keeping it Kiwi. 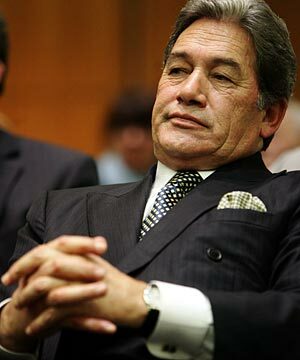 Ironically, Fay has been aided and abetted is his cause by arch nemesis and fellow 1980s dinosaur Winston Peters. Even the masters of the dark arts –public relations consultants – have wadded into the debate in an effort to further influence the court of public opinion. Fay’s PR hack even conned well-known leftie John Campbell into giving his client prime TV time to promote ‘Kiwi’ Mike’s unsuccessful bid. Another delicious irony is that Landcorp the country’s biggest corporate farmer and a state-owned entity at that, has confirmed it will manage the farms on behalf of the new Chinese owners. The simple fact is the best price won day. The farms, which total nearly 8000 hectares, saw Pengxin offer $210 million – the Fay group’s bid was around $40m less at $171.5 million. Fay’s group offered way less for the farms. It might have pushed the patriotic theme – to the brink of xenophobia – but only in an effort to make its low-ball offer more of a winner with the public. However, instead of promulgating ugly racism or whingeing about suing the Government why didn’t this rival group just offer a better price than the Chinese bidders? Surely Fay has plenty left over from his fees from hocking off NZ Rail and the BNZ back in the 90s? Are opponents of this deal now saying that farmers cannot sell their own land to the highest bidder – if it’s an overseas buyer? If so – then surely that has interesting connotations for people in Auckland, Wellington and Queenstown selling their houses to wealthy international buyers! But Kiwis are not on their own with anti-foreign farm ownership feelings. Our Australian cousins have recently been warned by their federal government that a “xenophobic campaign” will rob their farmers of opportunities presented by the increasing demand from Asian countries for secure food supplies. This same kind of xenophobia will – if we are not careful – also rob New Zealand farmers of the right to sell their land to the highest bidder. The fight over the Crafar Farms has already had more twists and turns than a cheap novel. However, the battle for the hearts and minds of the New Zealand public in the long-running saga about who will get to purchase the 16 central North Island dairy farms, once farmed by the Crafar Family, has taken another interesting spin. In the red corner we have Chinese company Shanghai Pengxin’s who’s successful bid to buy the Crafar dairy farms will – according to critics – see New Zealanders left as little more than peasant tenants in their own country. Meanwhile, in the blue corner we have a rival group of local buyers, including Maori – led by businessman and infamous state asset stripper and seller Sir Michael Fay. Fay’s group is offering less for the farms, but pushing the patriotic theme – almost to the brink of xenophobia – and is now threatening to sue the Overseas Investment Office should the Chinese bid gain approval. The farms, which total nearly 8000 hectares, have been in receivership for more than two years. Pengxin’s offer is understood to between $210 million and $220 million, while Fay’s group has offered $171.5m. This saga has already seen the almost unbelievable transformation of Michael Fay from the biggest flogger of NZ assets to now become the cheerleader for keeping it Kiwi. And now the masters of the dark arts – known as public relations – have entered the debate in an effort to influence the court of public opinion. But making this even more interesting is that the rival spin doctors were once former colleagues and in an Auckland-based PR firm. Former founding partners of Star PR; Alan McDonald and Cedric Allen have now ended up on opposite sides of the fence in the Crafar saga—with McDonald championing Fay’s cause; while Allen is running the Chinese buyers’ PR campaign. Add into the mix politicians – doing their best to scratch New Zealanders’ none too deep racist itch about the yellow peril, while claiming they are not – preying over the corpse of the Crafar deal like vultures. Another delicious irony is that Landcorp, an SOE the country’s biggest corporate farmer, has confirmed it is in talks with Pengxin to run the farms if the Chinese offer is successful. Whatever happens in the next week or so in regards to the OIO decision, there is little doubt we will be hearing a whole lot more about the Crafar Farms in the next couple of months. Keep tuned, as this saga is going to keep spinning for some time yet! Fonterra’s recent announcement that it intends to reduce local milk prices may have been welcomed by various consumer groups and many others – including self-serving politicians. While the intention may be good; the move is likely to cause long-term problems for the dairy co-operative—as its dairy farmer owners’ end up not so much crying over spilt milk – but split milk prices! The move looks more like a cheap (which may actually turn out to be costly for farmers) public relations stunt to appease these critics – rather than the reality of the market. The dairy co-operative now risks feeding the myth – propagated by these same critics – that farm products ought to be cheaper in their country of origin. That is a fallacy that neither the dairy industry, the wider primary sector nor the New Zealand economy as a whole can afford to have. 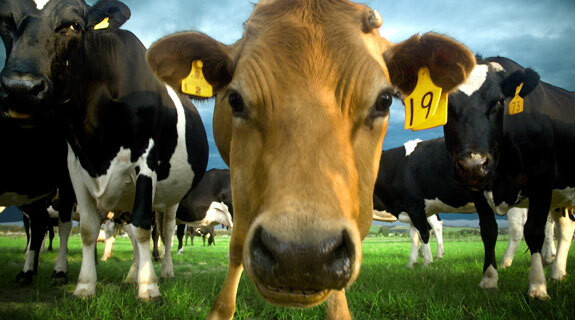 Fonterra is the leading international supplier of premium dairy products around the world. The fact is that fresh, farmed milk now costs more than manufactured drinks. Meanwhile, demand for dairy products is rising with prosperity in places such as China and other international markets. The New Zealand market is just one of many that Fonterra supplies its products to. It is hypocritical and an unfair expectation of New Zealand’s dairy farmers that they should have to subsidise local buyers of dairy products. New Zealand consumers do not expect cheaper or subsidised products from the plethora of international banks, insurance and oil companies that are based in this country. Nor should they expect the same from one of the few, truly New Zealand-based successful international trading companies. All local consumers should expect is a truly competitive industry at all stages from the farm to the final consumer. So far, all the inquiries, investigations and independent reports have found this to be the case. How good was it, really? 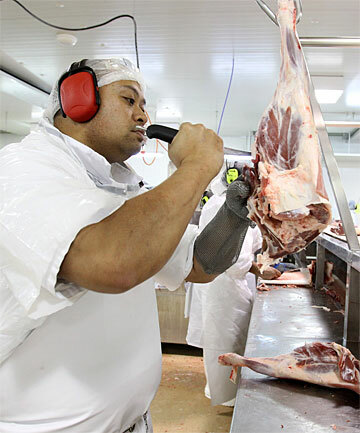 There has been a lot of talk about how good sheepmeat prices were in 2011. But can they have been all that good when farmers were getting around the same price per kilogram 25 years ago! There’s been a great deal of talk about 2011 being the time when all the planets lined up for a near-perfect year for farming. There is little doubt that export markets, growing nations with expanding middle classes hungry for our produce, tightening supplies and even the weather gods all smiled upon the agriculture sector during the year – meaning 2011 will be one that most farmers will look back on kindly. 2011 saw dairy’s good run continue. Fonterra’s final payout of $8.25 a kilogram of milksolids rose by $1.30 over the season ending up being the highest in the co-operative’s 10-year history. Total dairy sector revenue – with Fonterra counting for more than 90% – will have topped $20 billion. The year also saw red meat producers making good money selling lambs. A 17.5 kilogram lamb made $7.25/kg in the last few months of the year instead of $5.85 the same time a year earlier. Rising returns also spilled over into beef and deer farming. Beef prices were up from a year ago and venison prices were around $9/kg for a 55-60kg stag – up from the five-year average of $7.39. Arable producers have seen higher yields and promising grain prices which, making it a good year for them. Strong wool remained above a clean price of $6.50/kg rising from around $4 in September 2010. However, 2011 was not all the utopian Nirvana for the agricultural sector that many of the more excitable and ill-informed commentators are claiming it was. Sure, 2011 will go down in record books as one of the better farming years, but it needs to be put in perspective. There is little doubt the dairy sector went from strength to strength in 2011. Fonterra’s record payout of $8.25/kg of milksolids – the highest in the co-operative’s 10-year history – was more or less mirrored by the smaller dairy companies and sent total revenue for the sector to north of $20 billion. However, growing pressure about the environmental impact of dairy and mounting antagonism to the industry from an increasingly vociferous environmental lobby will mean a tougher year in 2012. Meantime, 2011 will not be a year looked back on favourably by the horticulture sector – an important component of our primary industries. Apple growers continue to struggle with a high NZ dollar. And while entry for NZ apples was finally gained into Australia – after 100 years of trying – our trans-Tasman cousins are still making it very difficult for shipments of kiwi apples to be given clearance to enter the lucky country. Meanwhile, kiwifruit growers on-going annus horribilis, as the devastating Psa disease all but wipes out the future of the once profitable gold variety in this country, goes on. So far some 933 – or around 30% of kiwifruit orchards – have being impacted by disease. MAF says the loss of vines could take production of gold kiwifruit down from 30 million trays in the 2011/12 season to 20 million or even 10 million trays in the 2012/13 season. Wool’s performance may have been good during the year, but it was off a very low base. Meanwhile, decade long attempts to unify the much divided industry have gone nowhere. The capital raising plan by Wool Partners International to get farmers to commit half the country’s strong wool clip to a grower-owned co-operative went down like the proverbial cup of cold sick with growers. The idea died a slow and painful death like numerous other wool unifying proposals before it. Although lamb and sheepmeat were good, the prices per kilogram farmers were getting in 2011 are around the same as they were receiving in 1986. There would not be too many other businesses celebrating the fact they are earning the same amount for their outputs today as they were 25 years ago. Meanwhile, the costs of key inputs like fuel, fertiliser, machinery and labour have not stayed where they were quarter of a century ago. So yes, all in all, 2011 was a good year for New Zealand’s agricultural sector – but by no means a great year.